Each year it can be a struggle to think of unique gift ideas for our loved ones and sometimes we give into the mundane. So how often has that foot spa, back massager or power tool from last year actually been used? Some gift ideas seem great at the time but ultimately end up like the “island of the misfit toys”, unloved and hidden away in a closet. We thought we would offer some unique options that will keep on giving while increasing the value of your home and improving the quality of life. I’ve stayed in some hotels that have ceiling installed bathroom heat lamps and I have to say that they are fabulous! An infrared heat lamp is used primarily for heat production, not lighting. However, you can install combo units to cover both. Just be sure to get the type that offers options for switching each component off and on, so you don’t have to use the heat lamp if you’re only wanting the light. Believe me, once you’ve installed one of these, you’ll never have another shocking exit from the shower. It’s been a blessing that I’ve never had to undergo surgery. When talking to people about their experiences, one of the few pleasant memories they mention is having a warmed blanket placed on them when they were in recovery. That got me to thinking about towel warming racks. Why not get one for your bathroom? They make them freestanding and wall mountable and programmable for heat settings and timers. Do you really “need” a towel warming rack…no…but if you’re looking for a unique gift idea and want that special person to indulge in one of life’s little extra pleasures…then go for it! 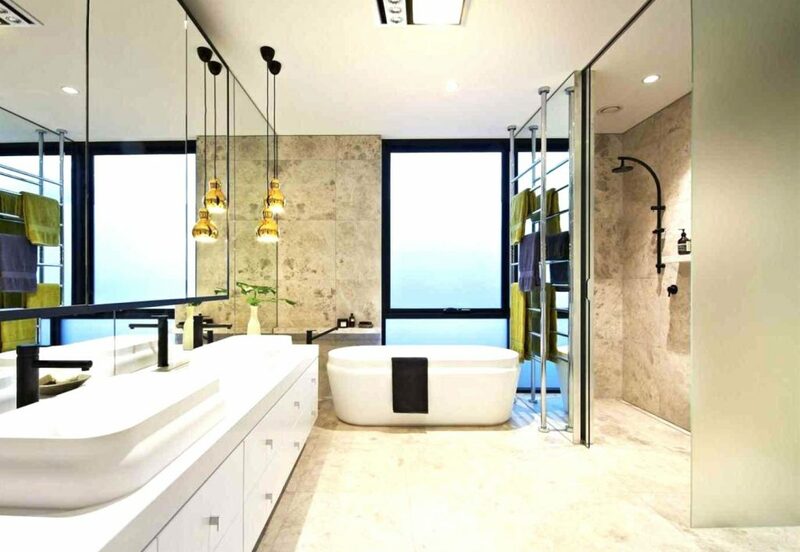 Depending on the design and size of your bathroom, you may already have adequate lighting inside your shower. I thought I did until I took a shower with a light installed on the inside. Wow! It really brightens things up and makes shaving a lot easier. Of course, beware, if you don’t wish to have an even better look at “the good, the bad and the drooping”, maybe you’ll want to scratch this one from the list. Lifestyles of the Rich & Famous… or Not? Have you ever visited another person’s home and thought… Wow…they must be loaded. You feel inadequately dressed and start comparing their home to your own. As you really look around you think…what’s the difference…is it the floor plan, the furniture or maybe the artwork.. but you can’t quite put your finger on it? Believe it or not…. lighting choices are sometimes easy to overlook but they make all the difference. I’m not talking about fancy or expensive fixtures but rather the placement of lighting. 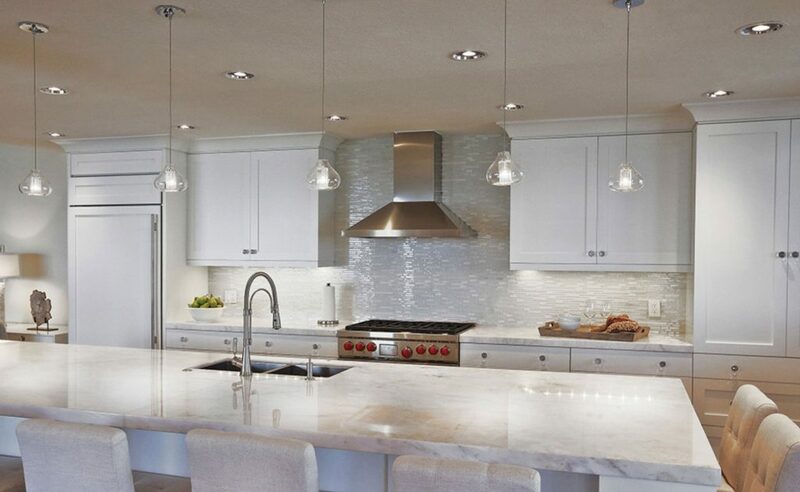 Lighting options can make an enormous difference in the look and feel of a living space. Take a look at some lighting options you may want to consider and if not for the holidays, perhaps there are items you’d want to consider planning for at some point in the future. Cabinet lighting has really become a hot item. If you don’t have it, you don’t know what you’re missing. Not only does it provide the task lighting needed for your countertops but it also creates an amazingly fresh look with any decor. You can even get units that allow you to go back and forth from the brighter, more clear LED type look or with a flip of the switch, you can choose the more yellow, softer lighting that appears more like the incandescent bulbs. And yes… they have dimmers to adjust the brightness level as well. This is a really cool lighting application that is used in homes and businesses as well. It can really make a room come alive and balance out the lighting in the area. Picture this… over cabinet lighting up high, undercabinet lighting at the midpoint and toe kick lighting at the floor level. Besides, if you have particularly nice flooring, why not help show it off with toe kick lighting? Step lights are great for safety while also providing an appealing visual effect. There are interior and exterior applications as well. 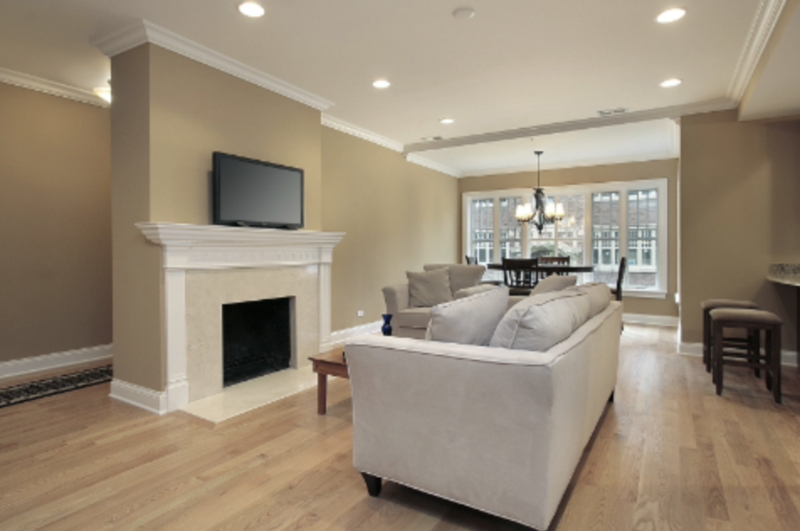 We recently did a job for a customer with a kitchen/living room open floor plan. They chose to install recessed lighting in the whole area which provided consistency and therefore, an even larger feel to the space. They also had us install undercabinet lighting and some smaller accent lights to illuminate recessed areas on both sides of the fireplace. The outcome was truly transforming. An already really nice living space became a stunning living space… just with lighting upgrades. Adding dimmer switches is a relatively inexpensive way to optimize the lighting in your home and create different moods. There are times when I truly need bright lighting (i.e.- I’m getting older and can no longer read the insanely tiny writing on pill bottles but I’m in denial and don’t want to wear my glasses). At other times, it’s been an exhausting day and I just want lighting that is candle-like and more conducive to relaxing. Dimmer switches really provide you with the best of both worlds! Please note…if you’ve converted your lighting to LEDs you can still use dimmer switches, but make sure the ones you purchase are LED compatible. Sheds: Workspace or Storage Space? So you talked and looked and talked some more and finally invested in a cool shed. You had it delivered and were so excited with the new addition…it was going to be great! Only one problem…it’s now just become another dark space to store junk and good luck if you have to go in at night with a flashlight. Why not clean out the cobwebs and make your investment the true workspace you envisioned it being. A shed without power is just a shed but you can transform it into a truly usable and enjoyable addition. Instead of purchasing yet another power tool for your significant other, how about providing them with actual power. Lights and receptacles are a must if you want to turn that storage shed into a functional workspace. Hopefully, we’ve provided you with a few unique ideas for the holidays. Some of the options are larger investments than others. However, they’re all ideas that will not only increase the value of your home but more importantly, increase the quality of life for you and your family. No matter where you are or what you do for the holidays, we hope you’ll spend time reflecting on the past year and creating new memories for yourself and those who mean the most to you! Best wishes for a warm and relaxing Holiday Season! Be notified whenever we post on our blog!